To help properly and beautifully frame your gorgeous eyes, firm and healthy skin is a must. Not too heavy, not too light – absorbs easily, but also leaves a layer of protection from the daily environmental onslaught. To help properly and beautifully frame your gorgeous eyes, firm and healthy skin is a must. Finding the right balance in a product for the eye area is critical. Not too heavy, not too light – absorbs easily, but also leaves a layer of protection from the daily environmental onslaught. 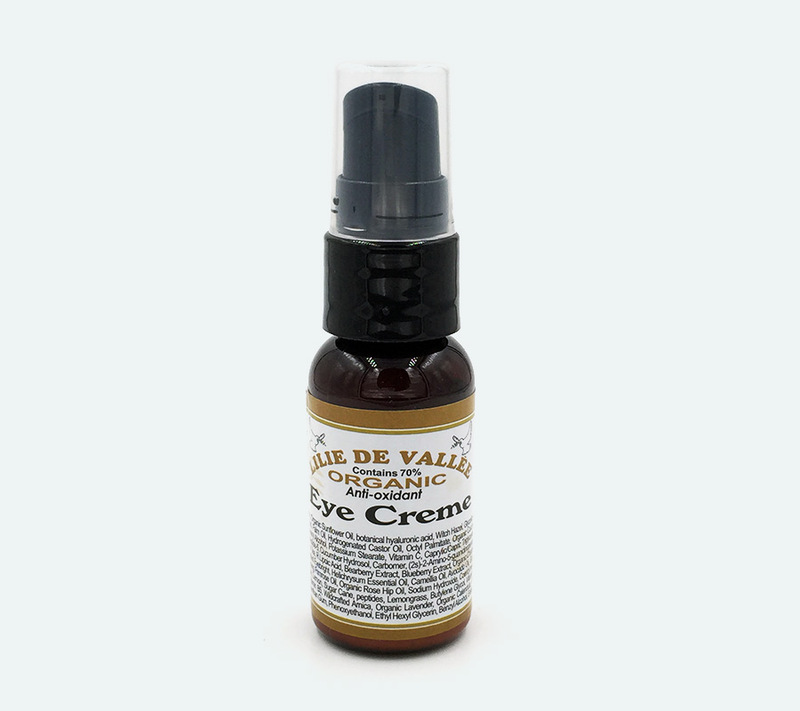 The active ingredients are at a high percentage, yet not so much that the eye area becomes irritated or inflamed… and the list goes on. 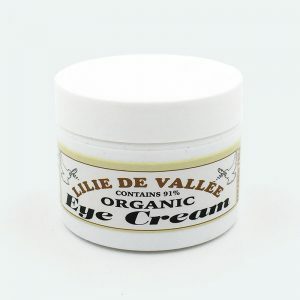 Lilie de Vallee proudly introduces an Anti-oxidant Eye Crème worthy of your Framing eye area. 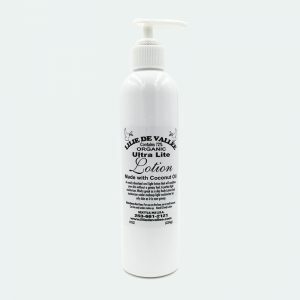 Lilie De Vallee has expertly combined cutting-edge peptides like Matrix 3000 and Tripeptide-5 with an ocean-based Retinol. Fleshing out these heavy hitters are dozens of botanical actives, pure plant oils, and organic vitamins and minerals. The combined effect is one of powerful and deep cellular rejuvenation. Help collagen boosting and inflammation, reducing activity for your fragile and vulnerable eye area. This formulation is effective and safe for daily use, for both daytime and nighttime repair and protection. Your eyes will be sitting pretty. Directions: Dab around eyes, forehead and cheek area. Can be used as an allover face treatment. Safe to use morning and night. Can be used under makeup. 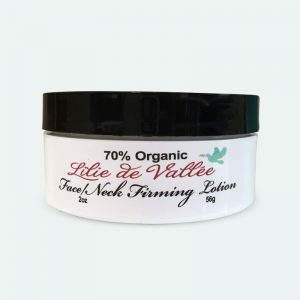 Can be used as an all-over facial and neck crème too. Also great for hands to slow aging. Ingredients: Purified Water, Organic Aloe, Organic Sunflower Oil, botanical hyaluronic acid, Witch Hazel, Glycolic Acid, MSM, Glyceryl Stearate, Kosher Vegetable Glycerin, Squalane, Lactic Acid, Palm Oil, Hydrogenated Castor Oil, Octyl Palmitate, Organic Coconut Oil, Cocoa Butter, Cetyl Alcohol, Cetearyl Alcohol, Cetearyl Glucoside, Stearyl Alcohol, Potassium Stearate, Vitamin C, Caprylic/Capric Triglyceride, Hydrogenated Vegetable Oil, Sea Fennel Wax, Matrixyl 3000, Palmitoyl Tripeptide-5, Cucumber Hydrosol, Carbomer, (2s)-2-Amino-5-guanidinopentanoic Acid, Organic Beeswax, Organic Jojoba Oil, Tamanu Oil, Wildcrafted Green Tea, R Lipoic Acid, Bearberry Extract, Blueberry Extract, Organic Cranberry, Raspberry Seed Oil, Wildcrafted Oregon Grape, Organic Licorice, Wildcrafted Eyebright, Helichrysum Essential Oil, Camellia Oil, Avocado Oil, Geranium Essential Oil, Organic Borage Oil), Organic Flax Seed Oil, Organic Evening Primrose Oil, Organic Rose Hip Oil, Sodium Hydroxide, Coenzyme Q10, Vitamin E Acetate, Phytic Acid, Phospholipids, Antioxidant, Lecithin, Apple, Lemon, Sugar Cane, peptides, Lemongrass, Butylene Glycol, Vitamin C Palmitate, Acetyl Hexapeptide-3, Sclerotium Gum, Potassium Sorbate, Vitamin B5, Wildcrafted Arnica, Organic Lavender, Organic Calendula, Organic Chamomile, Grapeseed Oil, Macadamia Nut Oil, Sodium Carbomer, Xanthan Gum, Phenoxyethanol, Ethyl Hexyl Glycerin, Benzyl Alcohol, Essential Oil. This oil-free active moisture delivery system contains a consciously harvested, highly effective liquid mineral complex. Our proprietary complex of natural materials helps retain moisture, soothe sun burns and shrink pores. 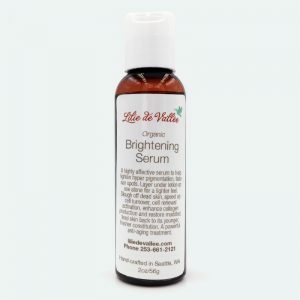 A highly effective serum to help lighten hyper pigmentation, fade sun spots. Layer under lotion or use alone for a lighter feel. Help speed up cell turnover, cell renewal activation, and enhance collagen production. 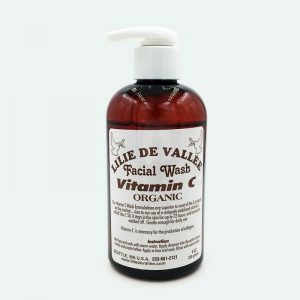 Our vitamin C wash formulations are superior to most of the C products on the market. 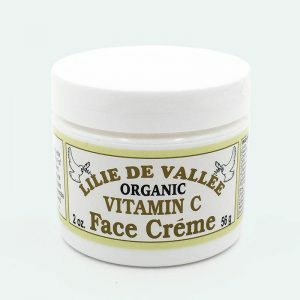 Due to our use of a uniquely stabilized vitamin C called Stay C 50, it stays in the skin for up to 72 hours. Gentle enough for daily use. Organic Content. Paraben and sulfate free. 14% vitamin C.
An easily absorbed and light lotion that will condition your skin without a greasy feel. A perfect light moisturizer. Works great as a daytime body lotion and moisturizer under makeup. Light moisturizer for oily skin as it is non-greasy. 72% organic. Made with coconut oils. A gentle and rich crème, enhanced with Hyaluronic Acid, lavender, blue-green algae, calendula, rooibos & pomegranate extracts and Evening Primrose to retain moisture in the tender and delicate skin around your eyes. 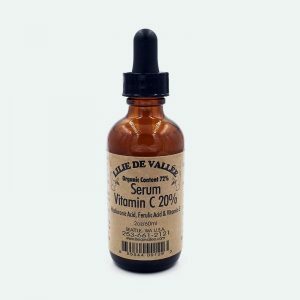 Help antioxidant protection, reductions of sunburn cells, prevention of the formation of free radicals in sun exposed skin, help fades sun spots and discoloration, refines skin texture. Pure vegan hyaluronic acid to plump skin cells and protect and restore. Restoring elasticity and tone, regenerates miraculously. Glycolic and AHA Alpha Hydroxy acid boost cell renewal and collagen production. Royal jelly preserves and restores proteins and enzymes for anti-aging action as well as amino acid protein building blocks for younger skin. 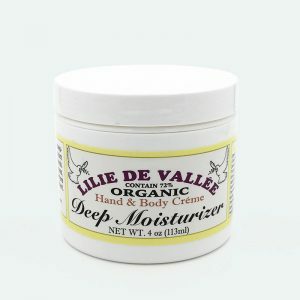 This is a wonderful therapy moisture crème for the face, neck and rough, damaged hands. 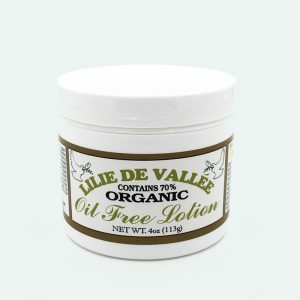 Also great for use on knees, elbows, heels, stretch marks or anywhere that needs special treatment. For up to eight-fold antioxidant protection, ninety-six percent reduction of sunburn cells, and the prevention of the formation of free radicals in sun-exposed skin. 70% organic content. Paraben free. 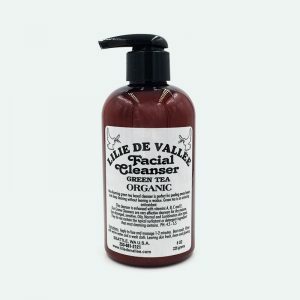 Non-foaming green-tea-based cleanser is perfect for peeling away layers and deep cleaning without leaving a residue. Enhanced with vitamins A, B, C and E.